Click on the puzzle picture and discover the world of minerals (and more!) in Arizona. Click on the puzzle picture and discover the world of minerals (and more!) in New Hampshire. 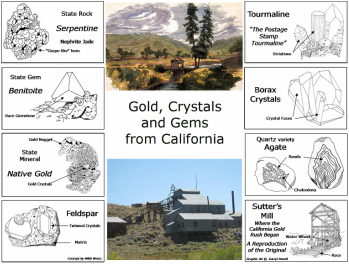 Click on the puzzle picture and discover the world of minerals (and more!) in California. Click on the puzzle picture and discover the world of fossils.